We’ve been hard at work producing a new self-paced course “Fundamentals of Digital Strategic Planning.” Members are getting a special beta look at the course. You’ll get an email later this week announcing everything in the course and your special discount code for early look beta-pricing. We are wrapping up for the year before heading off to spend time with family and friends. This will be the last weekly training update email for 2018 but as mentioned an email about the newest self-paced course will be coming later this week. Wishing you and yours a safe holiday season and a Happy New Year in 2019. Cutting through the myth, confusion, and bad best practices around content and talking about the 3Rs The Right Audience, RIght Ask, Right Time that will move engagement on any platform. Driving strategic long-term engagement it is crucial to understand the key formula: Right Audience + Right Ask + Right Time = Engagement. Key takeaway: Foundational training on the 3 Rs and worksheets to put in motion. End of Year fundraising accounts for 30% of all fundraising fon average for organizations. 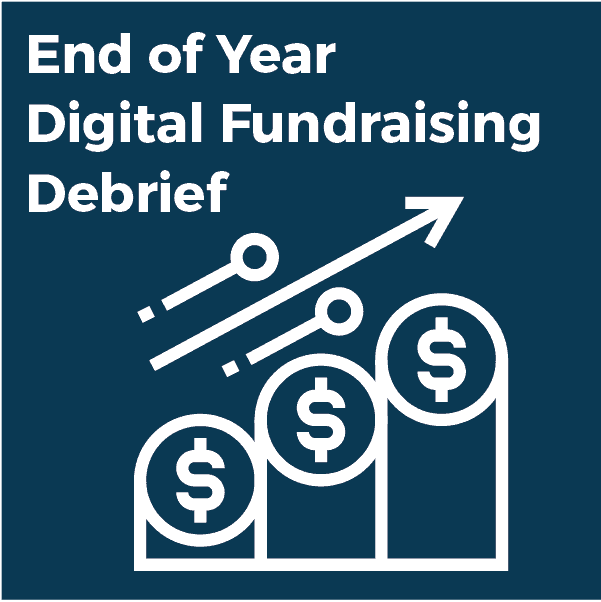 As, digital fundraising continues to become more critical to organizations having a good debrief sets you up to understand what worked, what didn’t, and how to get better for next year.Key takeaway: Live problem solving and strategy for members.